Did you know between approximately 10% of all pilgrims reaching Santiago de Compostela are ‘bicigrinos’, bike-pilgrims? Nearly 25,000 bicigrinos receive their Compostela certificate each year. If you are cycling the Camino de Santiago, remember you must at least cover the last 200 kilometres into Santiago de Compostela, if you’d like to receive your certificate. 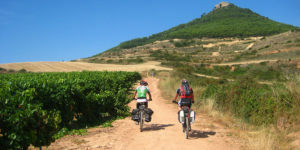 The Camino Frances is the classic Camino route, the most popular among both walkers and cyclists. While it is not the oldest (the Camino Primitivo from Oviedo is the oldest known Camino route), the French Way is the best known, most famous and also the route with the most comprehensive network of services en-route. The Camino Frances starts in St Jean Pied de Port, in France, but at CaminoWays.com we recommend cycling from Pamplona to Santiago de Compostela (avoiding the Pyrenees), which covers 659kms and can be done in two weeks. However, cycling the Camino from Ponferrada, just over 200kms, will be enough to get you your Compostela certificate. Most part of the way, the Camino route is shared by walkers and bicigrinos; although at times you might have to dismount, if the trail gets too narrow and busy with walkers, for safety reasons. In stretches not suitable for cyclists (ie. steps, etc…) an alternative will be generally marked (see image). 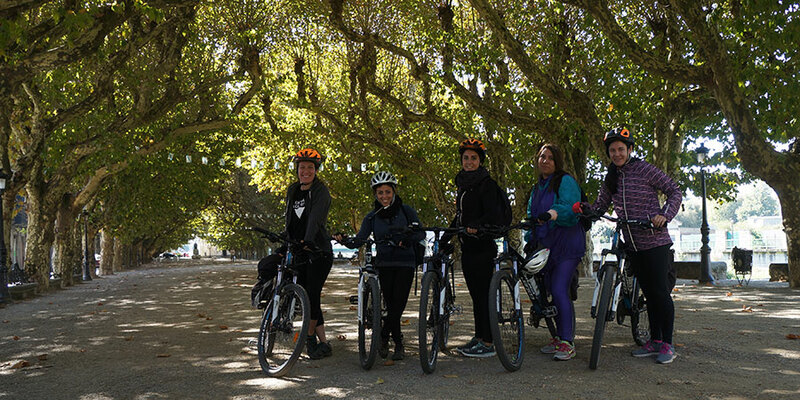 If you are travelling with children, we suggest you cycle from Sarria to Santiago following our adult walking itinerary (cycling an average of 20 to 28kms per day). It won’t suffice to get you a Compostela certificate, but it will be a manageable 100kms over the space of a week and an unforgettable family cycling trip. The Camino Portugues is the second most popular Camino route among pilgrims. From colourful Porto, in Northern Portugal, you can make it to Santiago de Compostela in just one week; cycling the 240kms that separate these two magnificent UNESCO-listed cities. This is a great route that will allow you to experience the culture of two countries, cycling across the North of Portugal and stopping at historic towns such as Barçelos, crossing the River Minho from Valença to Tui and then taking in the landscapes and towns of Southern Galicia. You can cycle the 590kms of the whole Camino from Lisbon in just two weeks. 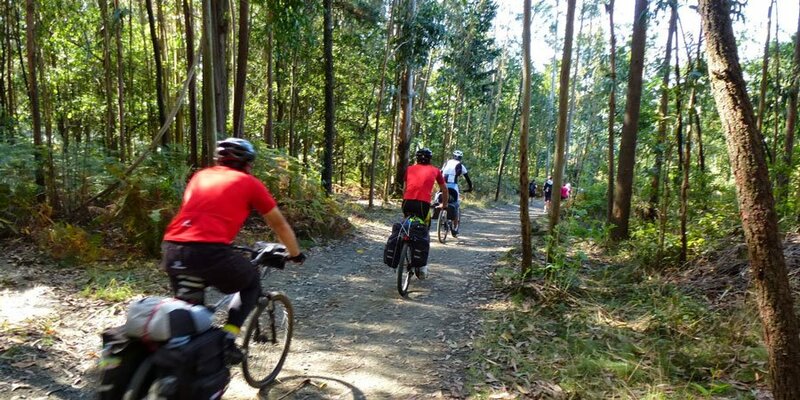 The Camino Portugues sections from Lisbon to Porto are currently better suited for cyclists than walkers, as they follow mainly country roads. The Camino del Norte follows the coast of Northern Spain from the Basque Country into Cantabria, Asturias and finally Galicia; the regions of the Cantabric Sea also known as ‘Green Spain’. Once you reach the lovely historic town of Ribadeo in Galicia, the Camino del Norte leaves the coast and heads inland; which means of 680kms, the last 190kms approximately will be away from the sea. 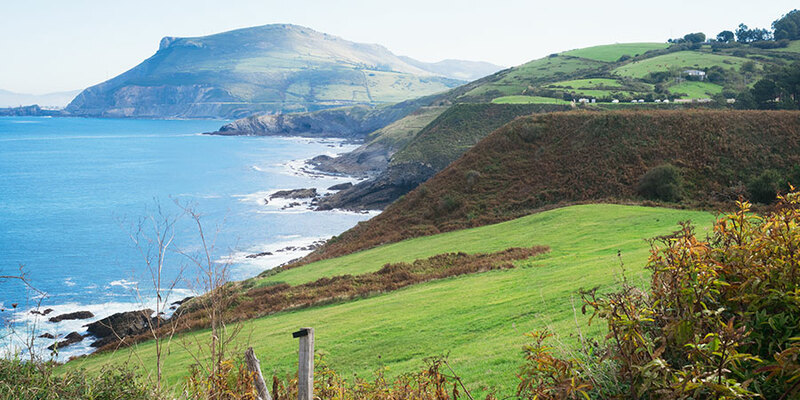 Cycling the Camino del Norte from Bilbao to Santiago will take 18 days in total. A slightly shorter option will be from the Asturian coastal city of Gijón to Santiago de Compostela will take just ten days. Cycling the Camino to Fisterra and Muxia is great short option, as the whole route to Cape Fisterra and Muxia will only take you three cycling days. 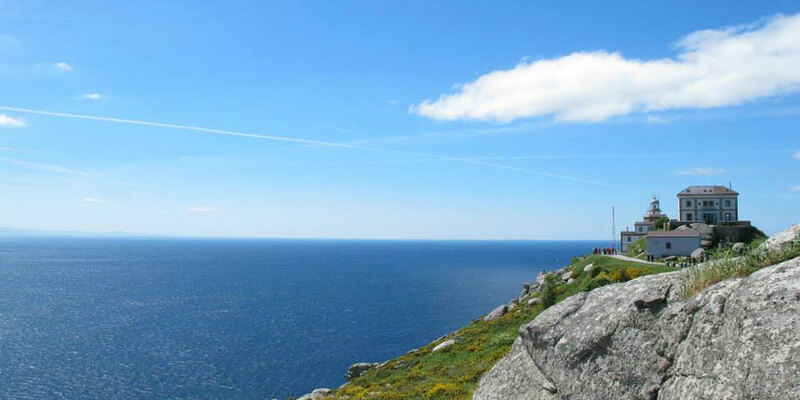 This Camino trail is the only one starting in Santiago de Compostela and takes bike pilgrims along the superb coast of the West of Galicia, in the Costa da Morte region with its fishing villages, pristine Atlantic beaches and stunning coastal scenery. Only the first cycling day is purely inland. For those looking for an even greater Camino challenge and an authentic adventure, the Via de la Plata is the perfect Camino route. This route starts in fascinating Sevilla, in the South of Spain, and covers 1068kms across the regions of Andalucia, Extremadura and Castilla before reaching Galicia. The route can be cycled in 21 days. On your way you will discover: the delights of Sevilla, red earth tracks across ever-stretching open spaces, cities of impressive Roman heritage such as Mérida, and areas of lush natural beauty such as Sanabria and the remote mountain trails into Galicia. 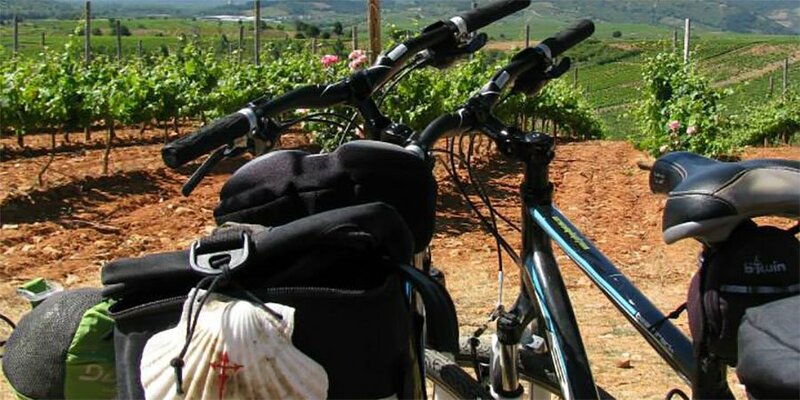 Bear in mind, the Camino de Santiago routes are long distance trails; we recommend you cycle the Camino only if you are familiar with basic bike maintenance (how to fix a puncture, change a tube, etc…) and are used to cycling. Talk to our Camino travel specialists if you need advice ahead of your trip. For more information about cycling the Camino de Santiago, the Camino routes or to book your trip, contact our travel specialists. Dear Zetta, thank you for getting in touch. Have a look at our itinerary here: https://caminoways.com/ways/portuguese-way-camino-portugues/portuguese-way-full-way. 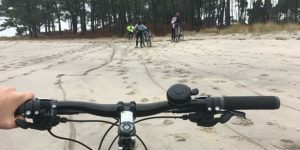 We can organise an itinerary combining both: cycling from Lisbon to Porto (approximately a week) and then walking from Porto to Santiago (2 weeks). In total it would take approximately 3 weeks to complete (22 nights) but we would recommend adding a rest day after each week also. 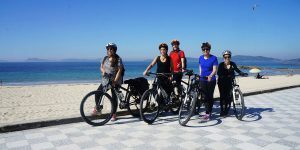 Our packages include accommodation, with breakfast or breakfast and dinner, luggage transfers and we can also organise bike rental for the stretch from Lisbon to Porto. Let us know if you would like to receive a quote from our Customer Care team. Kind regards. I’ve seen Camino arrows south of Seville – in Cadiz and in Medina Sidonia. Hi Fiona, the Portuguese trail starts in Lisbon, although you can start at other points along the way such as Porto for instance. You can follow the trail backwards from Santiago towards Lisbon but bear in mind the arrows and markings will be pointing to Santiago so it won’t be as easy to follow. I hope this helps! Hi I can only see the Portuguese trail starting in Lisbon and finishing in Santiago can assume you can start in Santiago and finish in Lisbon? fantastic! let us know if you need any help.